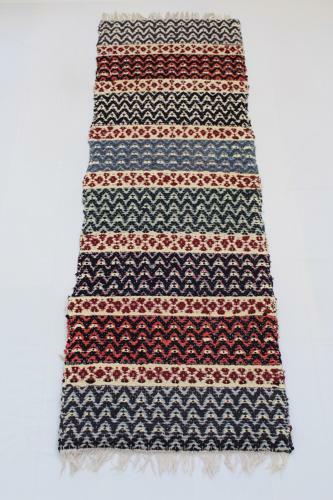 A fabulous and unusual zig zag patterned rug in vibrant colours of red/blues and greens. The rug is in good condition. It has slightly uneven sides but it doesn’t detract from the overall look of the piece.